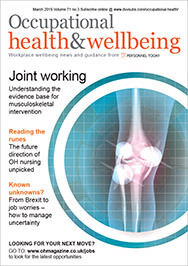 Millions of Europeans risk seeing their family incomes shrink and face premature retirement because of a lack of support for workers with musculoskeletal disorders (MSDs) and inadequate diagnosis of the conditions, think-tank The Work Foundation has warned. Two-thirds of people living with musculoskeletal disorders were primary earners in their families, yet many could not return to work because of a lack of workplace adjustments offered by employers, the Fit for work patient survey argued. On top of this, these individuals received little support from clinicians and healthcare systems. The report has called for healthcare professionals, employers and policymakers to ensure that employment outcomes for individuals with MSDs are included as a top priority in all future treatment and support plans. more than 65% said that the condition had an impact on their decision to retire early. Professor Stephen Bevan, Fit for Work Europe founding president and a director at The Work Foundation, said: “Most of those surveyed that said they were working with an MSD cite managing symptoms and maintaining work performance levels as their top concerns when it comes to the workplace.